Content marketing scares the crap out of business owners. The very thought of it shocks entrepreneurs and business owners to the core. Sharing your content, your valuable content, and giving your advice for FREE is crazy, right? No. 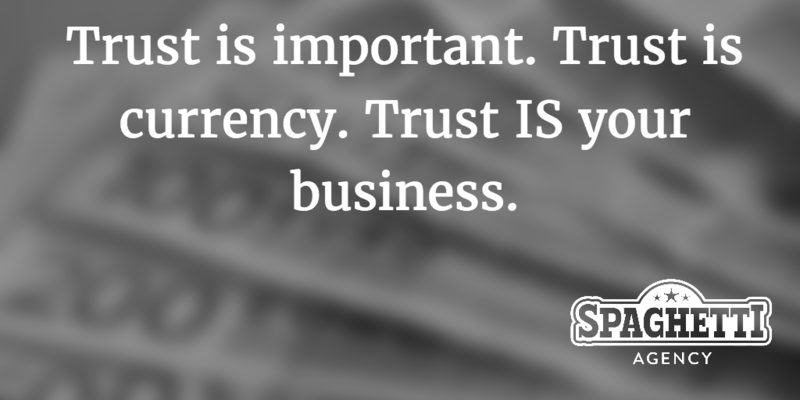 Business is built on trust. You won’t buy from someone, some brand, or some company, if you don’t trust them. You only have to look at PR disasters to see what that does for a company’s trust and their future sales to see that. Trust is important. Trust is currency. Trust IS your business. You build trust in many ways but you can REALLY build trust by proving you know what you’re talking about. Charging people to gain your trust doesn’t work, right? It’s a chicken and egg kinda thing. So you need to offer tonnes of free valuable content to gain the trust of your audience and to help them feel like they’re ready to buy from you. Free content is a scary thing. Giving away anything is a scary thing and yes, there will be the person who consumes all your free content and never buys from you. But I’ve got some news for you: They were never going to buy from you anyway. I have people telling me to put all of our content behind paywalls, charge a decent sum for my eBooks, and make my private Facebook group a paid service, but I don’t want to. I want to give, give, give, and give some more. Why? So that more and more people hear about Spaghetti Agency and trust Spaghetti Agency to be a helpful resource of content and marketing knowledge. I want to build my trust bank account and the only way to do that is to continually give free content for people to consume. But would I give away my BIGGEST tips? Yes, I would. And yes, I have. You have no reason to buy from me. You could literally watch all my YouTube videos, Scopes, Live broadcasts, read all my blogs, and see all my free talks, and you would never need to hire me. But you won’t, and neither will anyone else. In fact, even if you did consume it all and you were the right fit for me, you would still hire me and so would others… because you’ll trust me but because you’re not the type of person to go it alone – you’re my type of businesses. If you really want to do all the stuff I know how to – and you’re willing to let me do it – then you’re perfect for me. You need to attract people to you that are willing to pay you to do what you do because they believe in and trust you to do it better than they ever could. You need to attract people who would buy from you even if they could learn it all themselves for free. You need to attract sensible people; clever business owners or managers who outsource or hire in a company who specialise in what you do. No matter how much content you share, you won’t scare those businesses off. I have them. I have followers who regularly read or view my content but never buy from me… but they help me. Even if your content just gets read or viewed or listened to, you’re gaining clicks, views and subscribers. You’ll get better website traffic and higher video views and that helps you get found, gain authority and it helps you look good in the eyes of the people who will buy from you. Share EVERYTHING. Honestly. Get your best tips and your best strategies and share them on your blog, your YouTube channel, you Instagram and your LinkedIn. Share your best, wow your audience, and gain a large following. Eventually you’ll attract the right people and even those who never buy from you will share your content as a thank you, or to make themselves look good to their audience, and that’ll help you more. 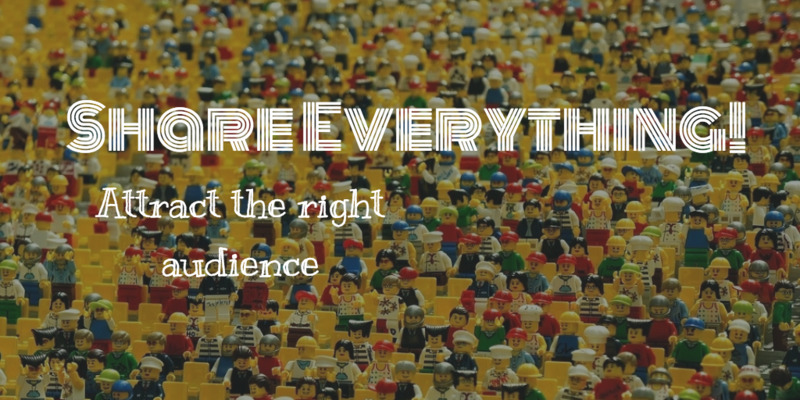 Content marketing makes you an authority in your field but only when you share it all. Share it unconditionally and share it constantly – no matter how scary it may be! I’ve never held back and I’ve always shared everything I know… but people still pay me to train them to do it or to get me to do it for them. Be brave and give us your best shot. Content marketing won’t ruin your business – it’ll revolutionise it. Feed the content-hungry and grow your business leads and connections! Thank you Todd. This was a very interesting read. A colleague and I came on one of your courses a while back (on social media) and I’ve seen you speak at events and I always pick up value from your content! We have just embarked on a relationship with a creative design agency and am pleased to say they are giving us the same message regarding content! Sincere thanks for your words of wisdom. You are so on the button with this blog Todd. I know a very successful co-operative group of small businesses who have been using this approach for years, and as such they’ve collectively benefitted from hundreds of thousands of pounds of business. They set themselves up as a group of experts, wrote dozens of blogs about exactly how they do what they do, created a forum for people to ask questions, and all of them are booked up for months with business. In my case I know I’ve won contracts collectively worth tens of thousands of pounds purely on the strength of my website and especially my blogs. I know several of my regular customers have read every single blog I’ve written. One, in particular, had been running a large construction project for 7 years, has given me as much work as I want (sadly I’m too booked up to do everything he wants me to do) and he’s completely changed most of the tools and materials used for painting and decorating on his site on the strength of my blogs. I wish I had shares in the suppliers! Some people will mine your blogs and website for information and never buy from you. Some people will see you as an expert and buy from you immediately. Others may soak up all the information but not be in a position to buy your products or services immediately, but some months or years in the future, they may do so. That’s good to hear, Di! Sharing what you do really does bring people into your space and then you’ll start to engage and build relationships… just like you do at networking!